It was love at first sight for me when I saw Vijayendra Kumeria (his fans call him VJ) onscreen a few years ago. Handsome, suave and dapper, he captured my heart with his looks, his deep voice and of course his brilliant acting skills. The TV industry is brimming with good looking guys who also act well, so what was so special about VJ that I could never get over him? – Well there is a certain charisma, a magnetism and a charm and an amazing screen presence and this along with his extraordinary acting skills ensured that VJ stood apart from many of the big guys of TV. You may look good and also be a great actor but it is that elusive charisma and magnetism that will differentiate you from the rest and that is what VJ has in abundance. The style, the attitude the panache and the body language were classic. I generally view shows on TV very dispassionately but then much to my own surprise I was drawn to VJ, thanks to his ability to get into the skin of any character and make me empathise with that character. “Udaan” was revelation to me from point of view of VJ the actor. The various shades of Suraj Rajvanshi that he has portrayed in “Udaan” has kept me hooked to the show for well over two and half years now. From negative to grey to positive, “Udaan” showcased his abilities as an actor to the world and I for one was taken in by the versatility of the actor. His act makes me want to analyse and to understand the character and to delve deep to get a better insight into the character, Getting the audience drawn to a character is the job of the actor and VJ has done that so amazingly well in “Udaan”. “Udaan” had so many unique Suraj Rajvanshi scenes that I have not seen any other hero do on television. I spent a lot of time thinking about what is it that makes me arrange my schedule and sit before my TV set every day to watch him in action and even made me want to write this article on him and these are some of the reasons that came to my mind. •VJ has the ability to hold the audience captive and he is so convincing in his act that I feel the compelling need to go back to the show the next day to see what happened to the character. In fact VJ actually made me believe that he is that character and is personally going through the emotions himself VJ has the uncanny ability to take the audience along with him – you will cry if he gets emotional, you will laugh at his comic interludes, You will clap for his action scenes, you will smile and feel generally feel happy at his infectious happiness and you will swoon at his eye locks and romance . •VJ made sure that “Suraj Rajvanshi” never became boring or predictable and that for me is the most impressive about the actor. Repetitive scenes are common in soaps but he will enact it differently in a different style each time and take me by surprise so I will never know what to expect even in similar circumstances. •Unless he had studied the character of “Suraj Rajvanshi” deeply and was able to bring that analysis into his acting he could not have made the character so convincing. “Suraj Rajvanshi” in “Udaan” is a complex character and to play it requires an insight into human behaviour and great interpretation skills and he brought Suraj to life by his acting skills. •“Udaan” had some of the most strenuous scenes that called him to be very physically fit and I must say that he simply excelled in these scenes, a particular track where he played a bonded labour was perhaps the most physically challenging track that I have seen an actor engage in and VJ simply excelled in it and more importantly he looked that part which was simply extraordinary. •VJ knows how to use his voice which is so impressive, to enhance the role he is playing. He has got one of the best voice in the TV industry and that adds to his persona. It is not enough to have a voice but you should be able to modulate it perfectly for the situation and no one does that better than VJ. •From observing him over a period of time through his off screen interviews, through his interactions with his fans on social media, he comes across as highly professional in all situations and someone who respects his craft, script, writers, directors, co actors and all involved in a production and that sort of appeals to me. I see in him a humility and that is very heartening in this day and age where everyone is keen on one upmanship, for me he comes across as a team player and that speaks volumes about the person. In fact, I came to know only recently that it was he who had coined some of the most loved and hugely popular nicknames that his character uses in the show along with the script writer. 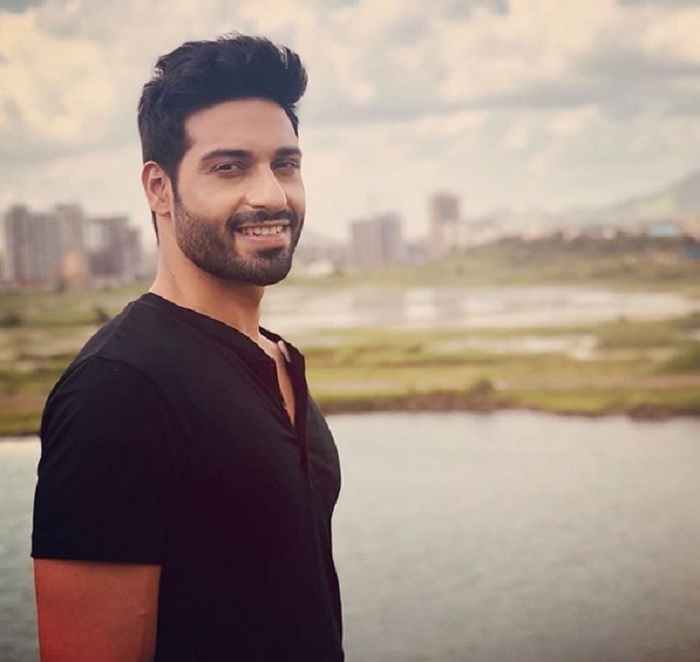 Whatever the reason that drew me to be a Vijayendra Kumeria fan I realised that I derive a great joy and pleasure in watching him enact his character on TV. Watching him on TV is an experience and I am glad that I found him. A big thank you to him for the amazing 30 minutes I spend every day before the TV watching him in action. I look forward to his show every day and it is to his credit as an actor that the enthusiasm to watch him onscreen that started a few years ago has never waned but has only increased with time. As he celebrates his birthday this week, my very best wishes to him and may he achieve success in all his endeavours. The 8 Best Romantic TV Jodis From 2018! The Top 15 Most Popular Stars (MALE) Who Ruled Television In 2018!